I do a ton of swiping in my life but it’s usually with my Amex. 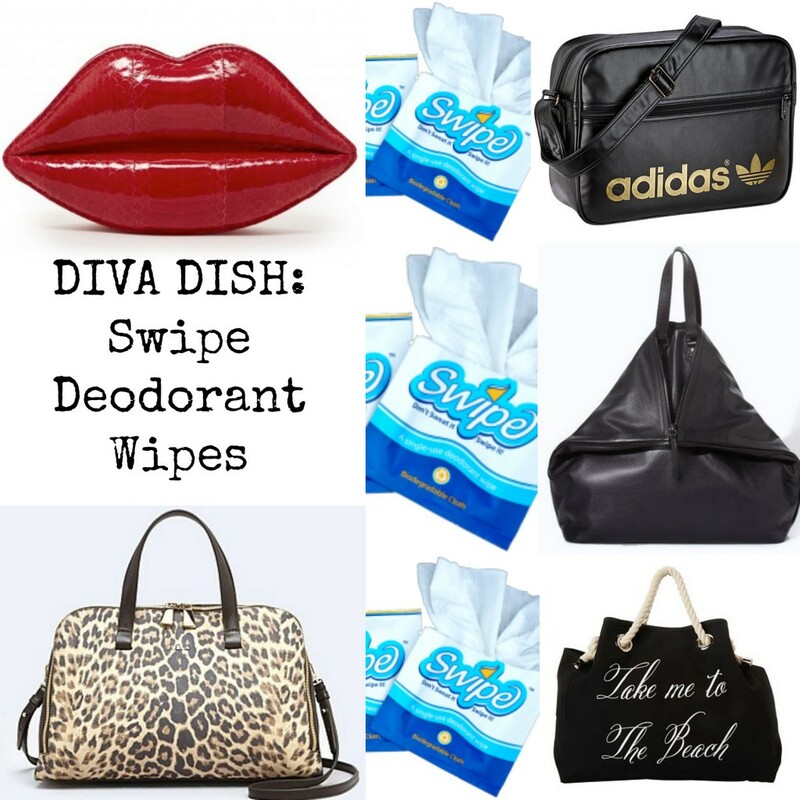 And while those swipes keep me fab, these Swipes keep me fresh. I was sent product to review a few weeks ago while in the midst of a major move to Williamsburg. No surprise, when all my worldly possessions (including my full beauty inventory) were in boxes, they came in handy. 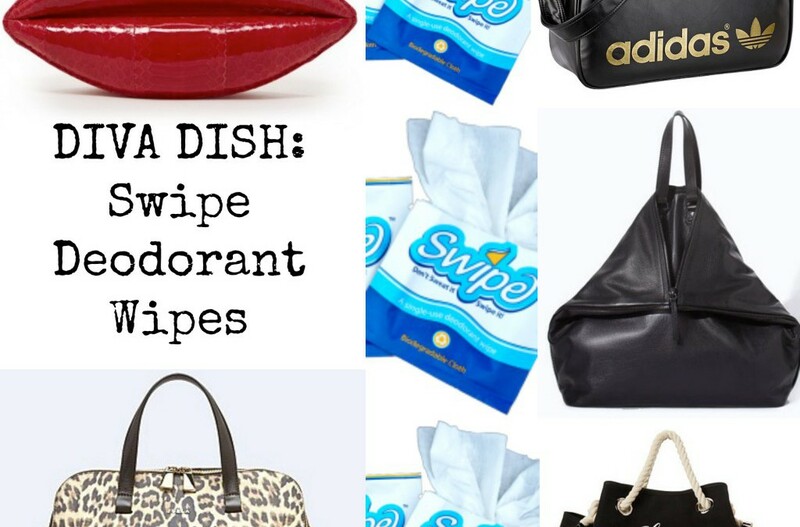 Swipes are disposable deodorant wipes. Like makeup remover towelettes but for your armpits. They protect against both odor and perspiration – and come in these cute and convenient individual square packets. Swipes are made in the USA with tea tree extract on 100% biodegradable cloth. I know, I know – the last thing we all need is another toiletry to add to our running lists. But I have to say, you may want to buy a box (they come in 3, 10, 25 and 50) and stash these little guys in a few bags now as a freshness backup plan. 1. My Gym Bag. I already have so much weighing me down in there – water bottle, combination lock, change of clothes, 10 assorted lip products, headbands, loose change, hand sanitizer… The Swipe will help lighten the load. 2. My Carry-On. After a long flight, I need a refresh. Along with my under-3-oz. travel container of BB cream and tube of lipgloss, I know I will make use of the Swipe. Particularly if someone is picking me up at the gate. 3. My work bag. If I have big meetings or a presentation, Swipe to the rescue. Also if I’m in the city all day for appointments and then have evening plans right after, it’s pretty clutch. 4. My PM bag. Speaking of clutch, Swipe is perfect for a night out as it fits into the smallest of small purses. And if you’re dancing all night, no sweat. Literally. 5. 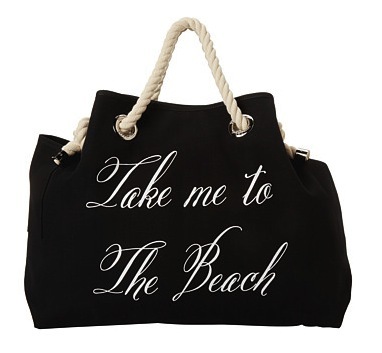 My Beach Bag. I will finally get a long-overdue vacation this month. Before throwing on a sarong and a coat of waterproof mascara on my way to the tiki bar, a quick Swipe will lock in that so-fresh-and-so-clean-clean confidence. PS – If any of these bags strike your fancy, click the images and shop away!! Note: This post is not sponsored. All thoughts are unbiased and my own. Swipe samples were provided for review. Tea tree extract seems to be great for a lot of things…I def want to look up more on it. Btw, loving that carry on!! Question – Say your sweat glands are acting up a little more than usual. How many do you think you would need to keep you safe for the day?